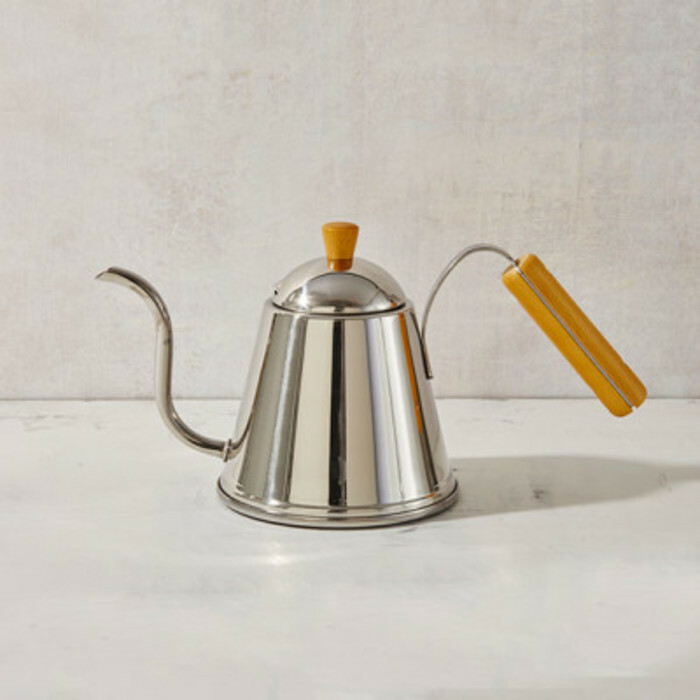 "We like this kettle as much or perhaps a little more than the Hario Buono Kettle. Sturdily built in Japan, it's just the ticket for making a pour-over or Chemex. Not recommended for direct heating over a gas flame. It holds approximately 1 liter."